Match ends, Orlando Pride 0, Chicago Red Stars 1. Second Half ends, Orlando Pride 0, Chicago Red Stars 1. Leah Lynn Gabriela Fortune (Orlando Pride) wins a free kick in the defensive half. Foul by Courtney Raetzman (Chicago Red Stars). Substitution, Chicago Red Stars. Courtney Raetzman replaces Cara Walls. Offside, Orlando Pride. Jasmyne Spencer tries a through ball, but Christina Burkenroad is caught offside. Attempt missed. Alyssa Mautz (Chicago Red Stars) right footed shot from the centre of the box is high and wide to the left. Assisted by Cara Walls. 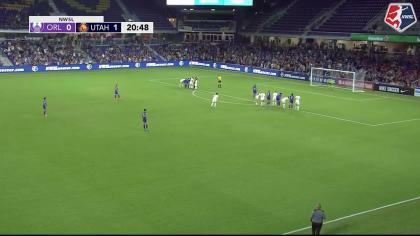 Samantha Witteman (Orlando Pride) wins a free kick in the defensive half. Attempt missed. Maddy Evans (Orlando Pride) right footed shot from outside the box is too high. Attempt saved. Kristen Edmonds (Orlando Pride) left footed shot from outside the box is saved in the top right corner. Attempt saved. Cara Walls (Chicago Red Stars) header from the centre of the box is saved in the top right corner. Assisted by Sofia Huerta with a cross. Substitution, Orlando Pride. Leah Lynn Gabriela Fortune replaces Jamia Fields. Substitution, Orlando Pride. Christina Burkenroad replaces Sarah Hagen. Delay in match Jennifer Hoy (Chicago Red Stars) because of an injury. Attempt blocked. Kaylyn Kyle (Orlando Pride) header from the centre of the box is blocked. Assisted by Kristen Edmonds with a cross. Attempt missed. Dani Weatherholt (Orlando Pride) right footed shot from the centre of the box is close, but misses to the left following a set piece situation. Substitution, Orlando Pride. Dani Weatherholt replaces Becky Edwards. Attempt missed. Casey Short (Chicago Red Stars) right footed shot from outside the box is high and wide to the right. Attempt saved. Cara Walls (Chicago Red Stars) left footed shot from the centre of the box is saved in the centre of the goal. Assisted by Vanessa Di Bernardo with a through ball. Becky Edwards (Orlando Pride) wins a free kick on the right wing. Offside, Orlando Pride. Becky Edwards tries a through ball, but Kaylyn Kyle is caught offside. Samantha Witteman (Orlando Pride) wins a free kick on the left wing. Attempt blocked. 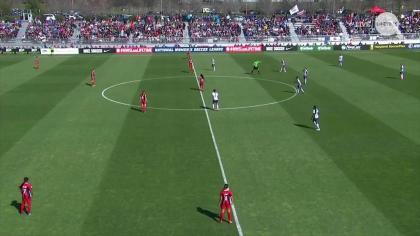 Jennifer Hoy (Chicago Red Stars) left footed shot from outside the box is blocked. Assisted by Vanessa Di Bernardo. Attempt saved. Sofia Huerta (Chicago Red Stars) header from the centre of the box is saved in the bottom right corner. Assisted by Taylor Comeau with a cross. Second Half begins Orlando Pride 0, Chicago Red Stars 1. First Half ends, Orlando Pride 0, Chicago Red Stars 1. Attempt missed. Kristen Edmonds (Orlando Pride) right footed shot from outside the box is too high. Assisted by Samantha Witteman. Attempt saved. Vanessa Di Bernardo (Chicago Red Stars) left footed shot from outside the box is saved in the centre of the goal. Assisted by Sofia Huerta. 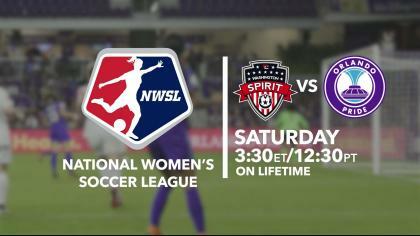 Delay in match Jasmyne Spencer (Orlando Pride) because of an injury. Attempt missed. Cara Walls (Chicago Red Stars) right footed shot from the centre of the box is high and wide to the right. Assisted by Jennifer Hoy. Offside, Orlando Pride. Maddy Evans tries a through ball, but Camille Levin is caught offside. Vanessa Di Bernardo (Chicago Red Stars) hits the right post with a left footed shot from outside the box. Assisted by Jennifer Hoy. Goal! Orlando Pride 0, Chicago Red Stars 1. Taylor Comeau (Chicago Red Stars) header from the centre of the box to the bottom right corner. Assisted by Sofia Huerta with a cross. Sarah Hagen (Orlando Pride) wins a free kick in the defensive half. Offside, Chicago Red Stars. Casey Short tries a through ball, but Cara Walls is caught offside. Attempt saved. Jasmyne Spencer (Orlando Pride) right footed shot from outside the box is saved in the bottom left corner. Assisted by Kristen Edmonds. Dangerous play by Samantha Witteman (Orlando Pride). Attempt missed. Cara Walls (Chicago Red Stars) right footed shot from outside the box is high and wide to the right. Corner, Chicago Red Stars. Conceded by Kaylyn Kyle. Attempt saved. Danielle Colaprico (Chicago Red Stars) left footed shot from outside the box is saved in the centre of the goal. Assisted by Sofia Huerta. Attempt blocked. Vanessa Di Bernardo (Chicago Red Stars) right footed shot from outside the box is blocked. Jennifer Hoy (Chicago Red Stars) wins a free kick in the defensive half. Camille Levin (Orlando Pride) wins a free kick on the right wing.